Say “I do” beneath a sunny blue sky, to the rhythmic sound of the crashing surf, in the tropical paradise of St. Kitts. Whether you choose one of our colonial churches, white sandy beaches, or charming historic ruins for your special day, you won’t find a more romantic venue. 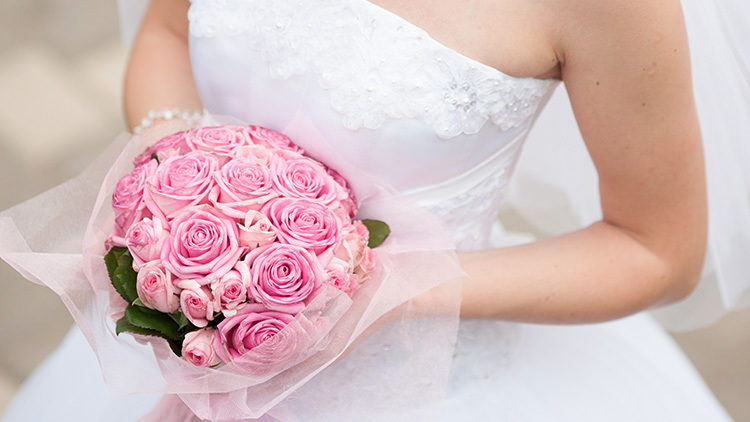 And rest assured that our Kittitian wedding planners are standing by to help you plan the most romantic day of your life. Here are some of our most unique and beautiful places to tie the knot. 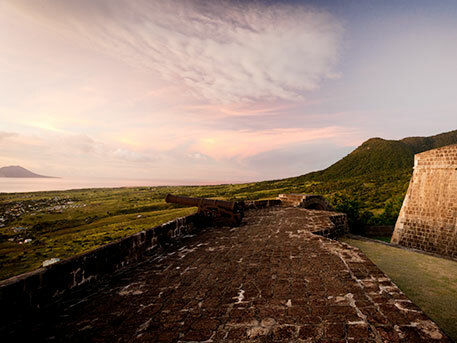 This 17th-century hilltop fortress 10 miles from Basseterre provides a stunning backdrop for a wedding—with views to one side overlooking the sparkling Caribbean, verdant slopes to the other. At sunset the fort is at its most spectacular, as the ancient stone takes on a golden glow and the sun dips into the turquoise sea. 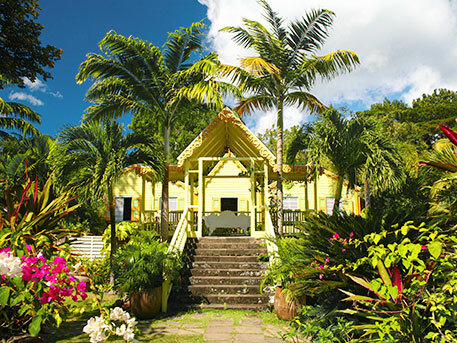 Be swept into the romance of the island’s early colonial days at this historic plantation 6 miles west of Basseterre. Over 300-years-old gnarled saman tree at the heart of the estate’s tropical plantation lower garden is one of our most popular venues to exchange vows. Other dreamy options include a manicured lawn edged with exotic flowers and an elegant traveler’s palm; and the ruins of a tower adorned with a small water fountain and tropical flowers. Situated near the end of the southeast peninsula, about 7 miles from Basseterre, Turtle Beach’s setting is exquisite: Gentle turquoise waves, a long stretch of sugar-white sand, our sister island Nevis rising in romantic splendor across the sparkling channel. Add a sunset sky, an officiator, a handful of friends and family, and you’ve got the perfect wedding. A valid passport or photo ID. An original or certified copy of your birth certificates. If you’re divorced, a decree absolute (an original or certified copy showing court's stamp or seal). If you’re widowed, a copy of the death certificate of the deceased spouse . If documents are not in English, they must be accompanied by a notarized translation. If a Catholic priest is to perform the ceremony, the couple must receive marriage counseling sessions from their parish priest and submit the required Catholic documents. A letter must come from the couple's resident priest verifying that they are unmarried and that they have received the necessary instructions. All Catholic weddings take place in the church. If an Anglican or other minister of religion is to perform the ceremony, it is recommended to bring a letter from the couple's resident minister verifying that they are known and unmarried. Counseling sessions may be a requirement but can be done by couple’s resident priest. Your ceremony can be held on the grounds of your hotel, in a church of almost any denomination, among historic ruins, in a rustic gazebo in a picturesque garden and, of course, on the beach. 6 a.m. – 6 p.m. for ceremonies presided over by a religious person. 8 a.m. – 6 p.m. if performed by a Magistrate.